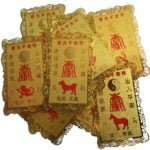 This is looking to be a fairly neutral month for the Dragon in November where there will not necessarily be anything to worry about but in the same sense, there may not be any major successes. This is a great time for the Dragon to relax and catch up on outstanding projects and activities. Have a fantastic month.